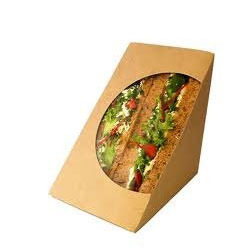 We are involved in providing a wide collection of Sandwich Pack that are wide in demand amongst our clients based in different parts of the country for their excellent quality, durability and superior finish. Rhinoo Pack came into being in the year 2004 and carved a niche as the leading manufacturer and supplier of the wide range of Packaging Carton, Folding Box, Carton Box, Serving Tray and many more. We are also engaged in providing efficient Multi Color Printing services. Our products are manufactured from the material of premium quality and in conformation with the prescribed norms. We ensure that the products and services offered by us serve the clients purpose in an appropriate manner. Mr. Madhavan. K (Proprietor) has played a vital role in our success, his knowledge, guidance and experience has enabled us to meet the targeted goals in timely manner. We are majorly dealing in Kerala and Tamil Nadu Queries.